Taiwan will hold presidential and legislative elections on January 16, 2016. Opinion polls show the Democratic Progressive Party (DPP) is set to win. If it does, writes GIS guest expert Dr. Nicola Casarini, it will be the culmination of a trend that began with local elections in November 2014 when the country’s ruling party, the Kuomintang (KMT), suffered one of its worst ever defeats. The DPP, which had attacked the KMT’s efforts to forge closer economic ties with China, made big gains. The results were a huge blow to Taiwan’s President Ma Ying-jeou, who resigned from his post as KMT chairman. He was succeeded in that position by Eric Chu, now the KMT’s candidate for president. Beijing has been following developments in Taiwan closely. It is concerned that a victory for the DPP candidate, party chairwoman Tsai Ing-wen, could put cross-strait relations back in the confrontational stance seen during the 2000-2008 presidency of Chen Shui-bian. In recent months, China has adopted a carrot and stick approach toward Taiwan. On the one hand, Chinese President Xi Jinping met President Ma at a historic summit in Singapore on November 7, hoping to boost the KMT’s chances. On the other hand, China’s People’s Liberation Army (PLA) has intensified its military drills targeted at Taiwan, simulating an invasion of the island and sending a powerful message to the pro-independence DPP. Ms. Tsai retains a big lead ahead of the elections, despite the much-heralded Ma-Xi summit. An opinion poll by Taiwan’s Cross-Strait Policy Association released one day after the meeting showed Ms. Tsai held a lead over Mr. Chu of 48.6 percent to 21.4 percent – virtually unchanged from a poll a month earlier. While Ms. Tsai did not oppose the meeting, she criticized President Ma for not defending Taiwan’s position strongly enough. A significant portion of the Taiwanese public share her view. In one post-summit poll 46.8 percent of respondents said they thought the president did not protect Taiwan’s sovereignty in the meeting with Xi, while 32.9 percent said he did. The Ma-Xi summit therefore does not seem to have benefited the KMT in any significant way. It still seems unlikely that Mr. Chu could win the presidency or his party hold the legislature. However, the meeting re-emphasized cross-strait ties as an election issue, one where the KMT has traditionally held an advantage. The DPP appears to have moderated its stance. When Ms. Tsai visited Washington in June, she said she wanted to maintain the status quo in Taipei-Beijing relations. Still, she refused to endorse the One China Principle, a position she reiterated after the Ma-Xi summit. Though her party wants Taiwan to keep its distance from integration with the mainland, it must balance this goal with support for economic growth. The mainland is, by far, Taiwan’s most important economic partner. Mr. Chu has suggested that Taiwan faces a higher risk of war with the mainland if Ms. Tsai wins. In a November Washington Times op-ed, he said that “any declaration by Taiwan to separate itself legally and permanently from China will be viewed by [Beijing] as a violation of Chinese territorial integrity, hence incurring war.” The DPP accused him of trying to scare voters. Ms. Tsai’s refusal to elaborate on her China policy, however, has left the door open to speculation as to the future of cross-strait ties under her government. High-ranking DPP members have struck conciliatory notes. Most notable among them is Chen Chu, the mayor of Taiwan’s second largest city Kaohsiung and chief of the Tsai campaign. She told Reuters in December that the party was open to engagement with China as long as more trust could be built between Beijing and the DPP. According to a report from Taiwan’s Ministry of National Defense (MND), senior leaders in Beijing have met to reevaluate China’s cross-strait policies. The discussions came after Taiwanese street protests against a government-supported trade agreement with China and the KMT’s losses in the 2014 municipal elections. Due to Beijing’s concerns over the outcome of the upcoming elections, the PLA has conducted a series of military drills simulating an invasion of Taiwan, the report found. The document outlined a number of scenarios under which the PLA might invade the island. These include: if Taiwan begins heading unequivocally toward independence, if it acquires nuclear weapons, if it experiences extreme internal political turmoil, if foreign forces interfere in Taiwan’s internal affairs or deploy troops in the country, or if dialogue on unification negotiations is delayed. The MND said that the mainland would first attempt to intimidate Taipei with a combination of military threats and a blockade. Thereafter, it could use some of the 1,500 missiles that the PLA’s Second Artillery Corps has deployed against Taiwan on political and military targets. The PLA would then mount an invasion using aircraft and amphibious vehicles. All this comes as Beijing militarizes various reefs and islands in the South China Sea. China can make use of troops, artillery, radar and communication equipment and an airstrip in the area in the case of hostilities with Taiwan. It will be able to patrol the waters surrounding the island, monitor its activities and enforce any eventual blockade. The question is whether China will resort to military force or devise an innovative approach in dealing with post-Ma Taiwan. Peaceful coexistence is most likely in the short term, particularly if the DPP wins the elections. Ms. Tsai, the likely new president, will aim to find ways to build trust with Beijing. In turn, Chinese leaders are likely to adopt a pragmatic approach. This would send a reassuring message to other countries in the region. High-level political dialogue between the DPP and the Chinese Communist Party is certainly likely – and there could be a Tsai-Xi summit, even as the PLA maintains strong military pressure on the island. This strategy could convince the new Taiwanese government to accept President Xi’s offer to exchange representative offices as well as to join the Asian Infrastructure Investment Bank (AIIB). That would confirm China’s ability to exercise its power of attraction on Taiwan, even if the DPP is in power. In the longer term, mounting tension, but no war, seems probable. That would be the case particularly if the new DPP government, under public pressure, began to dismantle the Ma government’s policies or delayed negotiations on unification. 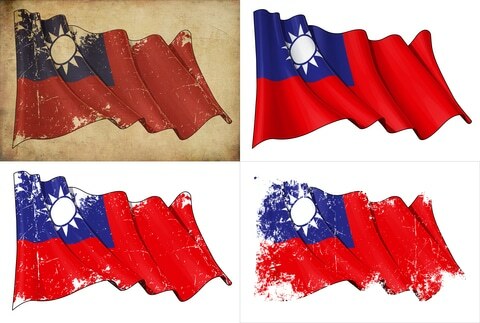 China would interpret these moves as an attempt by Taiwan to move towards de facto independence. Chinese leaders could intensify their attempts to isolate Taiwan. One way they might do this would be to block its membership in international organizations – even the functional ones such as the World Health Organization. The DPP government could react by threatening to join the U.S.-led Trans-Pacific Partnership, likely prompting China to freeze political relations with the island. The PLA would conduct incursions into Taiwanese waters, preparing for some sort of eventual intervention. Such a heightened state of tension could last from a few months to several years, though it would be unsustainable in the long term. At some point, the situation would either revert to peaceful coexistence or escalate into war. A Chinese invasion of Taiwan remains a possibility, but a remote one at this stage. It could happen if Beijing fails to pull Taiwan closer or if Ms. Tsai’s government proceeds with displays of independence that, even if only symbolic, irritate Beijing. Chinese nationalism, which President Xi has fanned in recent years, could lead to pressure for forcing reunification with Taiwan that the regime in Beijing will not be able to rein in. China would use some of the military facilities built in the South China Sea and around Taiwan to first enforce a blockade and then invade the island. That would push the U.S. and some of its Asian allies to intervene, but by the time they manage to do so, it could be too late. A puppet, pro-China government would quickly be installed in Taipei and the international community would be forced to accept the outcome.